We started as a small general store in the town of Lowes, Kentucky. 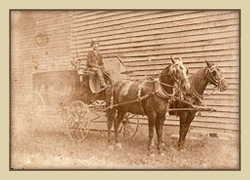 The family business was an important part of the daily lives of the families around Western Kentucky. In the late 1800's, caskets were made and sold at the general store. 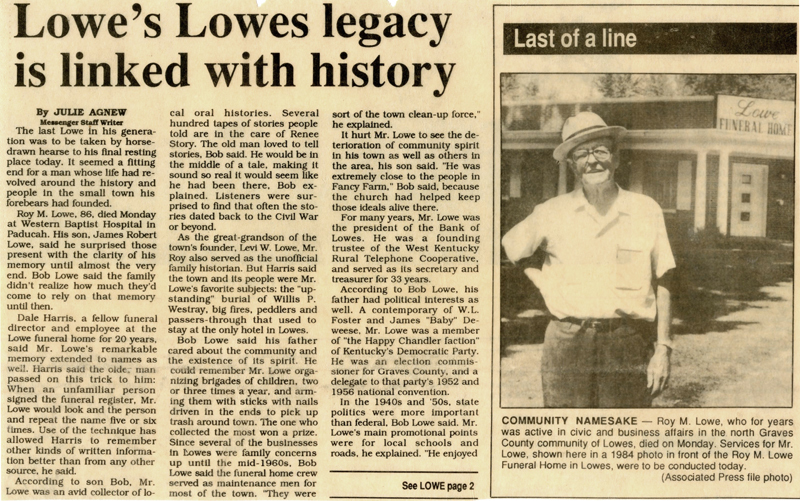 During the early 1900's, the Lowe family began funeral services. 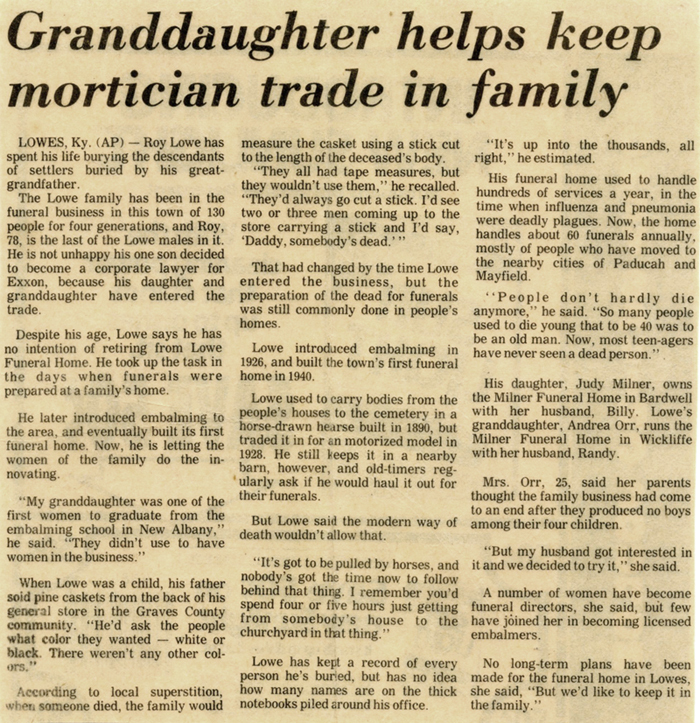 In 1926, Roy M. Lowe attended mortuary school and built a state-of-the-art funeral home in 1940. The family horse-drawn hearse soon gave way to newer funeral coaches. 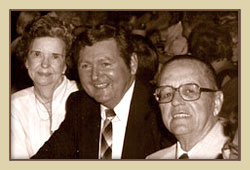 Andrea Milner Orr's parents, Judith and Billy Joe, soon expanded the family's trade by opening in other small Kentucky communities. Today, Andrea and Randy Orr offer the caring family service in five locations: Paducah, Lone Oak, Bardwell, Wickliffe, and Arlington. 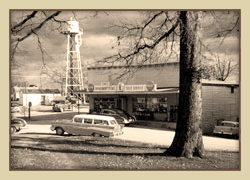 For over 150 years, Western Kentucky families have trusted Milner and Orr because we're hometown folks. 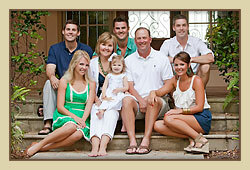 We know the area, we know you, and we believe in families helping families. 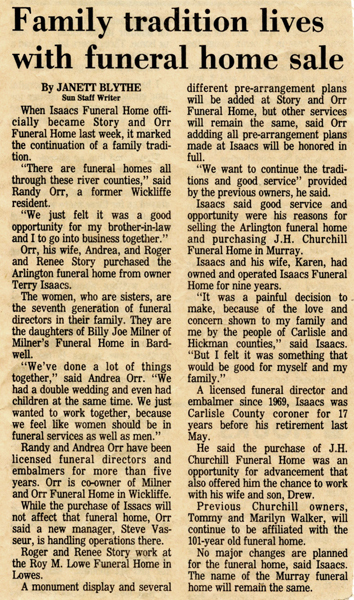 Below is a list of newspaper articles that feature the history and dedication of Milner and Orr Funeral Home in serving our communities.